The secretary of the Friends of the National Collections, Anne Farrelly, along with Adrian Farrelly visited the Museum on 29th August 2016. They viewed the portrait of Claude Chavasse which has been given on long term loan by the Friends of the National Collections, for which we are grateful. This is the second painting given by the Friends, the other being the landscape by Sarah Purser. 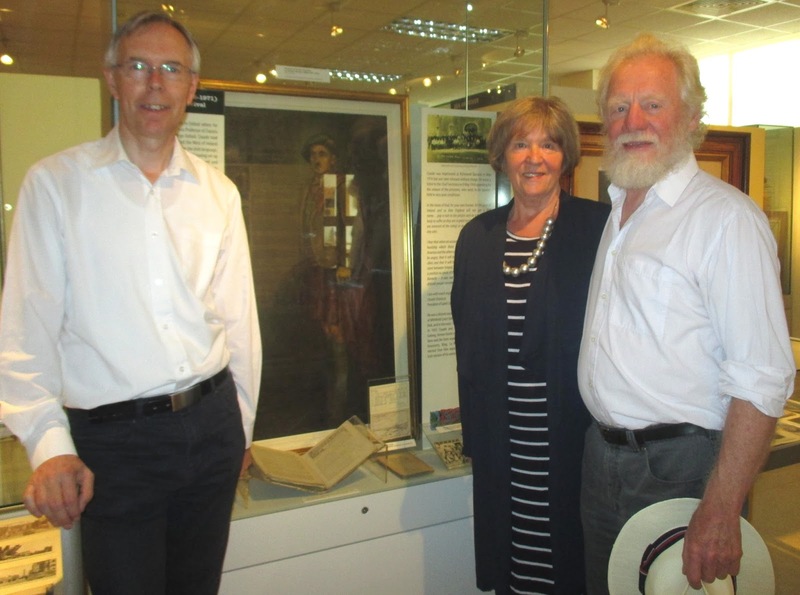 William Fraher, Waterford County Museum, with Anne and Adrian Farrelly.